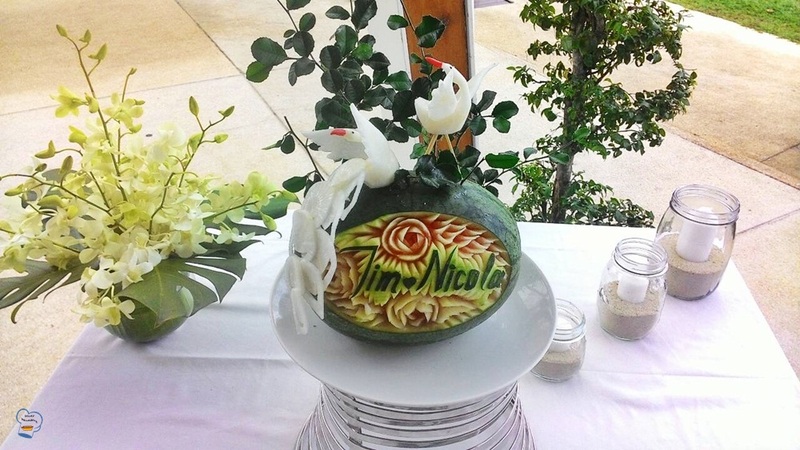 A watermelon rose carving with a pair of white radish carved into swans depicting the bride and groom made an elegant table centerpiece at the wedding. 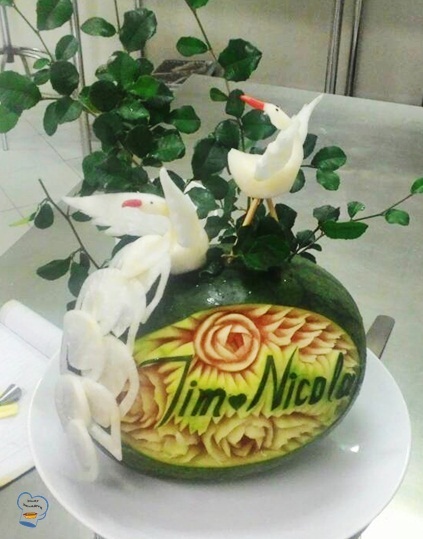 The swans on top added a little flair to the rather traditional watermelon carving. It's something new and different which the guests enjoyed. 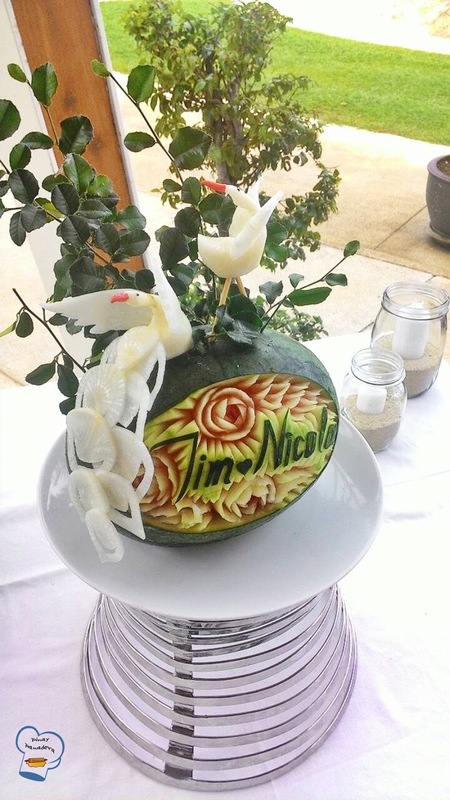 The couple's names had their names carved in the middle of the fruit. What an eye-catching table display! A closer look of this masterpiece. Kudos to the resort's sous chef!